In 2004 RateMDs.com was established. It is a website that allows patients to rate their doctors. Similar sites exist for rating dentists, psychologists, hospitals, and teachers. It is an example of how the internet allows people to share information, and opinions. Whereas in the past one might tell a friend about their experience with a doctor, this allows people to share their experience with anyone interested. The concern for doctors is that those people who are satisfied may write nothing, whereas those with an axe to grind may be more motivated to share their negative reviews. But when studied the majority of ratings are positive. There are a couple of issues with such ratings sites, such as that there is no way to know who is actually writing the reviews and that some have a business model that allow paying customers to have some effect on their rating. But that is not the point of this article. The point is that we all have opinions about other people, including our doctors, and now people have a way to share those opinions. The question is — do patient ratings of doctors and healthcare correlate to better doctors and better care? The answer, from a few studies, seems to be no. A study published in JAMA Internal Medicine in 2012 looked at almost 52,000 adults between 2000 and 2007, their satisfaction, healthcare usage, and mortality. It found that “higher patient satisfaction was associated with greater inpatient hospital use, higher overall health care and prescription drug expenditures, and increased mortality.” Yes, those who were more satisfied with their care had higher rates of death. Research has shown (see references, below) a tenuous link between patient satisfaction and health care quality and outcomes. Patients tend to be more satisfied when they get more testing and treatment, aka “discretionary testing and treatment” (when they think they need it), and doctors are more likely to do this testing or treatment when their pay is linked to patient satisfaction. But more testing may lead to harm. Other studies have shown that more intense healthcare (more testing and treatment) is associated with increased patient satisfaction but with increased mortality and no improvement in the quality of care. Several other studies (see below) have found that patient satisfaction is not well correlated to better outcomes. So what does this mean? It means that what people think they need may not be what’s best for them. 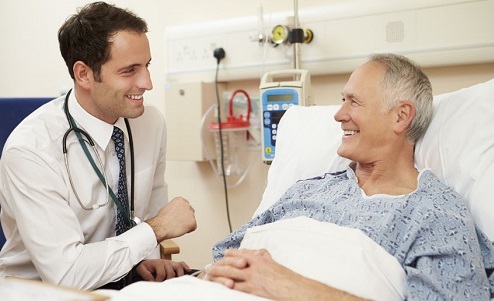 However, there is good evidence that a doctor taking the time to communicate properly with a patient, including why in their medical opinion a certain test or treatment is not warranted, results in better patient satisfaction. We are all human and we have a right to our opinion about other people. Doctors have a responsibility to do what’s in the best interest of the patient, though it is not always exactly what the patient initially thinks they need. A good doctor is someone who knows their stuff and will do what is best for the patient, regardless of pay, or pressure. A doctor who communicates well will explain why she or he feels that a certain test or treatment is needed, or not. But doctors are human, and often feel rushed, and sometimes get frustrated or stressed, and they can feel pressure. It is not easy to find a doctor in many places in Canada. And most doctors in Canada are excellent. But doctors are human and our system is stretched. It is important to be an advocate for yourself or your loved ones’ health care. You need to understand what is happening with your health in order to do everything you can to optimize it. It is also important to work with your doctor to choose the best investigations and treatments for your specific case. You and your doctor should work together to make the doctor-patient relationship work, and communication is key. Find a good doctor and ask questions of them. It is worth your time. Keep in mind that you have a common goal with your doctor — to maintain or improve health. And everyone deserves good healthcare.